There is no Basic information available on Sansha Prefecture at this Time. 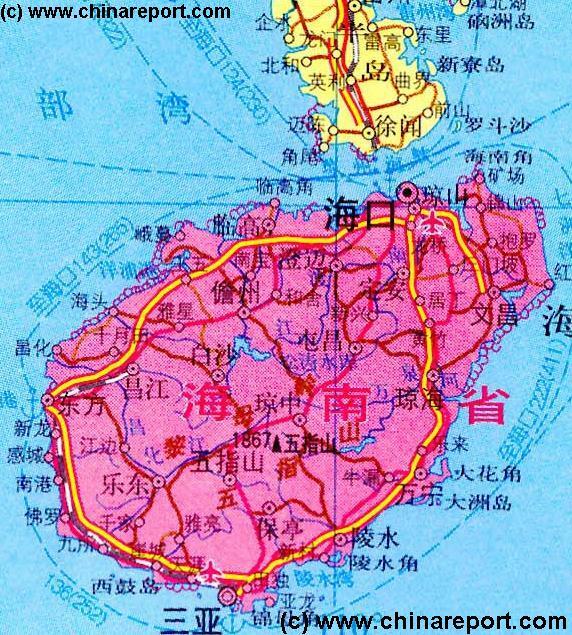 Sansha Prefecture is composed of various island distributed over several island groups. There is no Railway Station available anywhere in Sansha Prefecture. Fiery Cross is today an artifical island created upon the former Fiery Cross rocks. Upon the island is a runway which primarily serves as a military airbase for the PLAAF. For political reason the airbase has also been used as acivilian airport. Fiery Cross National Airport is operational since 2015. 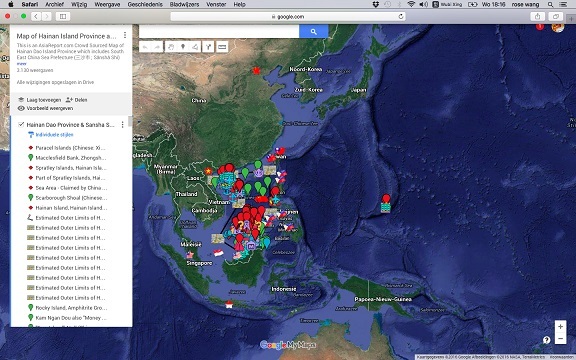 To find out more information on the history of Sansha South China Sea Prefecture (disputed) of Hainan Island Province, go to: ′History of Hainan Province′. There is no information available on life in current Sansha Prefecture of Hainan Island Province. There is no information available on Hotels in Sansha Prefecture at this Time. 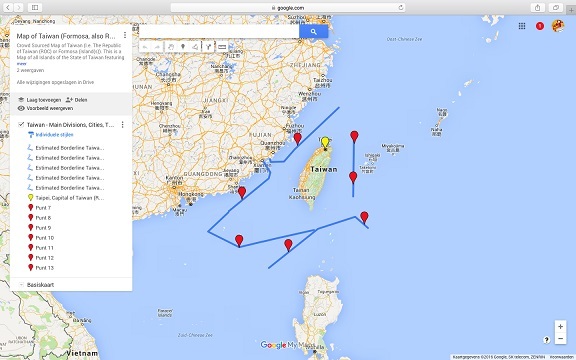 This Google supported Satellite Map provides a clear overview of the Island Nation of Taiwan, factually independent but also claimed as a Province of the Peoples Republic of China. Map includes National territorial limits, main administrative divisions, main cities, mountains, historic locations, scenic spots and tourism locations. Taiwan territory de facto includes parts of the South China Sea, larger part of which is also claimed by Taiwan as Republic of China (ROC).